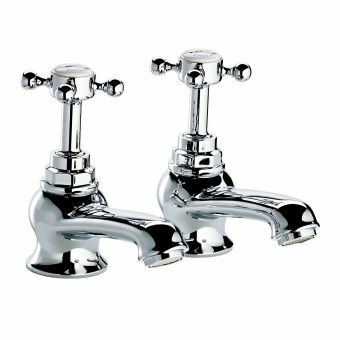 Distinguished by their quality and traditional looks, this pair of basin taps from Swadling will meet all your lifestyle requirements and a bit more. 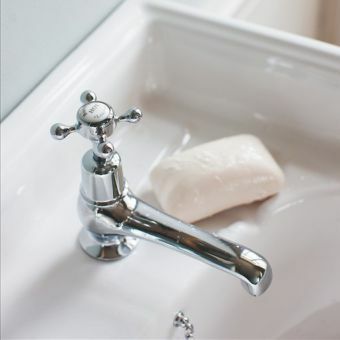 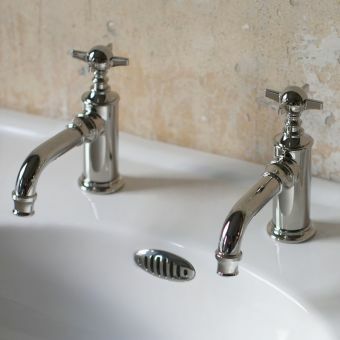 Showing all the traits from the turn of the century such as crosshead handles with Swadling markings cast into the glass indices, they will enhance and embellish any Victorian or Edwardian bathroom basin. 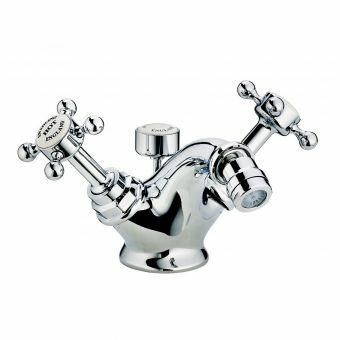 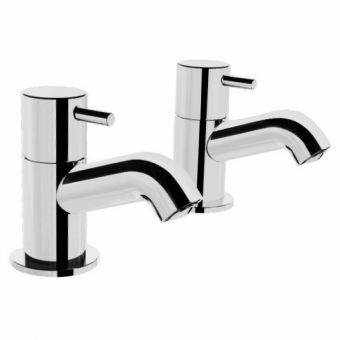 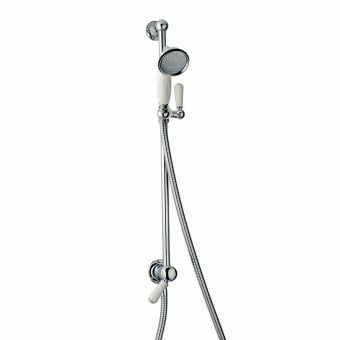 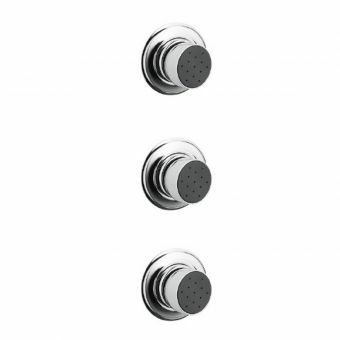 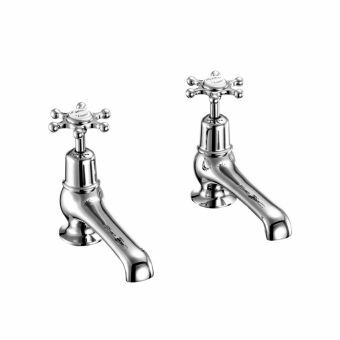 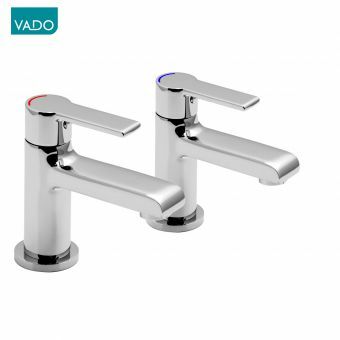 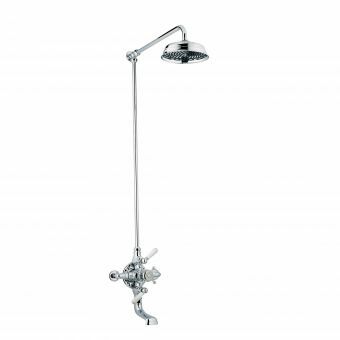 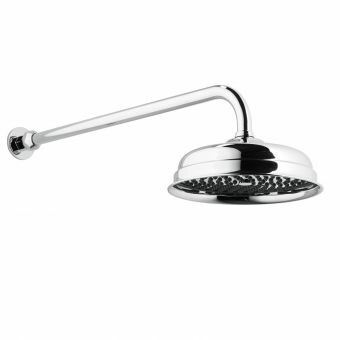 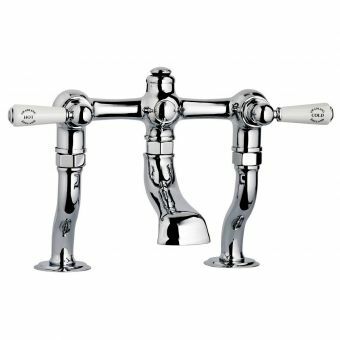 The body of the taps are slightly bulbous giving them a feeling of solidity and purpose with smooth, functional spouts terminating in an aerated water flow that gently caresses the hands and face. 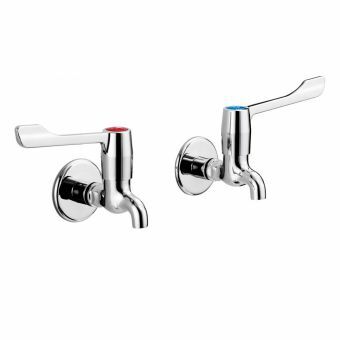 Strong captive nuts hold the tap handles in place firmly and offer a choice of black or white indice colours to choose from as well as special order 'Mother of pearl'. 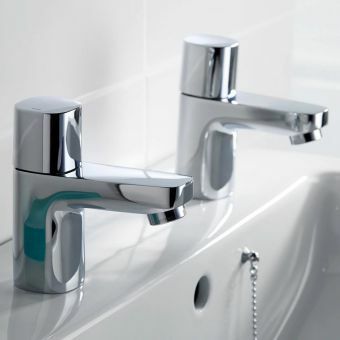 Working well from low or high pressure they can be customised further with a choice of 6 finishes offering an exhilarating mix of minimalism and inspiring innovation. 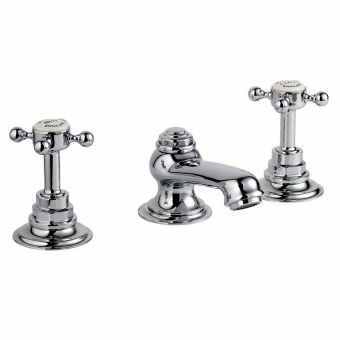 The Illustrious range of brassware has a clean, natural and opulent appearance that will bring a sense of grandeur to any period bathroom.